Corticosteroids are used to treat many different medical conditions, from rheumatoid arthritis to allergies to lupus and more. The prescribed medicines include: Celestone (betamethasone), Cortone (cortisone acetate), Decadron/Hexadrol (dexamethasone), Acticort/Aristocort/Cortef (hydrocortisone), Medrol (methylprednisolone), Prelone (prednisolone) and Deltasone/Sterapred (prednisone). These are just some of the concerns, please visit the resources section of this page for more information. Because of the wide variety of medical conditions that corticosteroids treat, it is very important that any conversations with your medical provider include understanding the long-term effects. 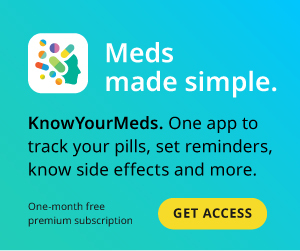 Remember that long-term effects of drugs are relevant to prescription dose and length of treatment, and MedShadow encourages discussions that give you enough information to make an educated decision about your healthcare. Effects, both positive and negative, have long lasting repercussions on our quality of life. Studies on corticosteroids tend to lean toward the extreme use, rather than the average use. For example, some studies look at corticosteroids for extreme and rarer cases of eczema. This makes it harder to research what long-term studies are out there on steroid use. To complicate things further, corticosteroids can be oral, topical, injected, or inhaled, and this dramatically changes the benefits and risks, and in turn the short-term and long-term effects. Speak with your doctor and pharmacist on what, if any, long-term studies out there are relevant to your own medical treatment. Here are some studies, but we encourage you to look at our Organizations and Other Resources section below to complement your own search for more information. This study found that long-term use (24 weeks) of nasal steroid was not better at improving asthma control in adults or children. There are also studies here on the short- and long-term use of topical steroids for eczema. A recent Cochrane review found that clinical trials cannot prove that inhaled corticosteroids reduce inflammation in the lungs of cystic fibrosis patients. However, one trial revealed that inhaled corticosteroids can inhibit a child’s growth when used in high doses. Another Cochrane review found that while there is convincing evidence that corticosteroids can reduce the rate of erosion progression in rheumatoid arthritis, unfortunately, there is also concern that the long-term effects of corticosteroids, such as increased cardiovascular risk and osteoporosis, may outweigh their benefits. A study found that when used over the long term, systemic glucocorticoids, a type of corticosteroids, may make patients more susceptible to life-threatening staph blood infections. There are also studies here on the short and long-term use of topical steroids for eczema. A good guide from the Mayo Clinic outlining the risks and benefits of taking many types of corticosteroids. A physician from New York’s Hospital for Special Surgery describes drug-related side effects for different kinds of corticosteroids and provides self-care tips to minimize the chances of experiencing them. A meta-analysis of 31 studies that included 11,615 children with asthma found that use of inhaled corticosteroids did not lead to an increase in pneumonia or other respiratory diseases. A corticosteroid shot and physical therapy have no long term benefits in the treatment of “tennis elbow”, a new study (Australia) confirms. A pharmacist explores the ways that different drugs “mug” the body of important nutrients. A University of Oregon study discovered an “underlying genetic cause of atopic dermatitis”, opening up avenues to alternative treatments that may bypass the use of topical steroids. Why are steroids used in medicine? Access Science by McGraw Hill answers this question from a scientific perspective, but succinctly lays out the breadth of uses of different steroids in medicines. WebMD has a great page with information on use of inhaled corticosteroids for the long-term control of asthma. What Are the Best Treatments for Bug Bites?